OK guys i have spent many hours and wasted many MBs of data downloading plenty on Navigon programs only to find none of them work on my chinese 5 inch gps. Until i found this version on an italian gps forum that is. This version works perfectly on my wince6 machine with 64 mb of ram just download, unpack and copy navigon folder to SD/TF card. Last edited by NoService; 19-08-10 at 01:18 AM. does is has a Red light and speed camera or no ? Last edited by HESHAM ELJOKER; 18-08-10 at 01:29 PM. speedcams and redlight cameras ...no. it has 2010 pois installed but. you can get speedcam/redlights from POI plaza anyways. Thank you NoService. I think the User need to change the Baud & Port settings in the UserXML.settings file to make it work on their particular Chinese device .. right? I shouldve mentioned that 1st up but ive been a bit busy and was planning on comming back to it. The program is setup for a unit that uses SDMMC as its card and port 1 baud 4800 for its gps and uses the the folder named Navigon to store program/maps. if your unit does not you will need to change a few things. 1: port/baud rates in usersettings.xml in settings folder (open with notepad) and edit this...........change red numbers to suit your device. 2: SDMMC references in ApplicationSettingsPathes.xml (open with notepad) and edit SDMMC.......change EVERY reference to SDMMC to suit your card. and folder name to if you change it from navigon. remember if your unit uses SDMMC for card name and has port 1 baud 4800 for gps all you need to do is unrar the file and copy navigon folder to card. Last edited by NoService; 19-08-10 at 03:04 PM. Ive also got IGO8.3.4. working in my wifes car with win ce 6. Ill put up the post later. Has the lot. Just need to get the card out of the car as I modded it there. Uses R17 and May build. Will it run on 800X480 ? Last edited by eross; 27-08-10 at 11:54 PM. Seemed to work perfectly on WinCE5, res: 480x272. However after about 5 minutes a message came up about running low on memory, then the screen locked up and had to use reset switch. Are there any files that can be removed, so less memory is used. 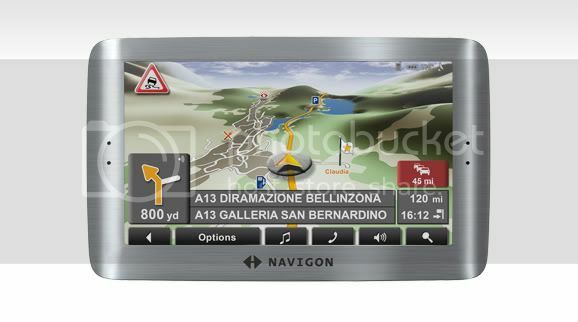 I like the look of Navigon and would like to use it if possible. Keep up the good work NS. you can safely remove TMC/speech recognition folders and if you have added POIS remove them and test again.